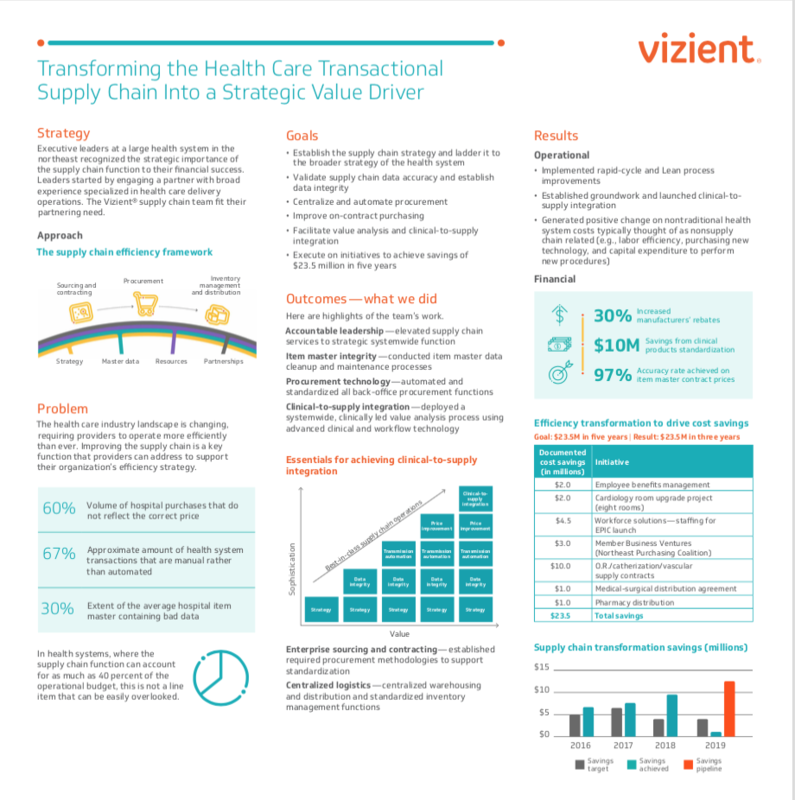 Read this article by Vizient Inc., on their Poster Presentation 'Transforming the healthcare transactional supply chain into a strategic value driver' for the 2019 Business Transformation & Operational Excellence Summit. Healthcare is changing. From the way that people access care, to the consumerization of care, to the way that health care organizations are compensated for care, the industry faces the threats of eroding margins, new business models, mergers and acquisitions. The one thing that is certain is that healthcare’s slow-moving, slow-to-change, steady-as-she-goes approach to doing business has reached a tipping point requiring business leaders to re-consider the way things have always been done to find new approaches that can deliver savings… and FAST! In health systems, where the supply chain function can account for as much as 40%+ of the operational budget, this is not a line item that can be easily overlooked. As such, executive leaders are recognizing the strategic importance of the supply chain function to their financial success. Where, historically, the supply chain function has counted on leaders that can “get it done” by focusing on transactional requirements to purchase goods and services for the hospital, today’s health systems need leaders that have the skills to identify broken processes and the ability to further improve functional operations through the implementation of new technologies and solutions. This poster session outlines the challenges one healthsystem overcame to deliver $23.5M in cost savings and operating efficiencies thereby achieving their 5 year goals in just 3 years. 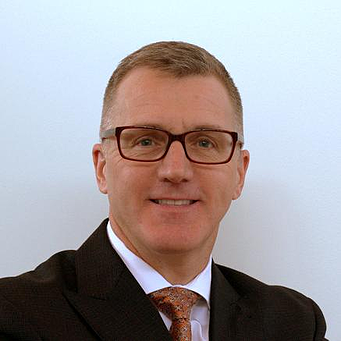 In the process of achieving their goals, this health systems transformed its transactional supply chain function into a strategic value driver to become a model of what it looks like when supply chain efficiency is unchained.